The book opens with a remarkably well-written naval battle. It’s three months after the attack on Pearl Harbor and a flotilla of obsolete WWI-era American destroyers is leaving the Java Sea headed for Perth. But an elite Japanese force intercepts the aging “four-stackers” and the desperate battle ensues. 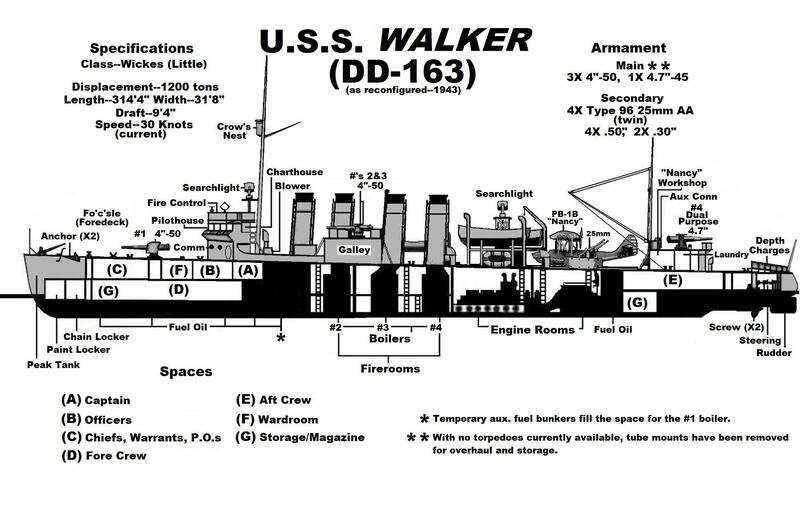 The USS Walker seeks cover in a squall and suddenly they are in a different world. After that excellent opening I expected the quality of the book to suffer a bit from the transition into the weird parallel universe. I was wrong. Taylor builds the whole narrative on the solid realistic base of the WWII US Navy and then adds well-thought exotic creatures. The mix is surprisingly entertaining. On board the Walker there is an Australian engineer who considers himself a “naturalist”. He’s talkative and extroverted so I expected him to quickly become the comic relief but he is actually a valuable addition. Through him, Anderson tells us of this new world. Geographically, everything is exactly the same. The shorelines are right, even the stars are right. So this is not another planet or another era. It’s a human-less Earth that is inhabited by two sentient species: the feline Lemurians and the lizard-like Grik. Lieutenant Commander Matthew Patrick Reddy and his men soon learn that the Grik are merciless expansionists. They sail the seas in huge wooden ships to attack the Lemurians. Some Lemurians live in coastal cities but others are grouped in sea-faring clans that roam the seas in enormous wooden ships. Readdy knows that the technological advantage of the aging Walker will mean nothing if they don’t find fuel, supplies, and allies. Anderson really makes us worry about the good old destroyer turning her into a character. Conveniently, the Australian engineer has some maps detailing where oil deposits “should be”. And fortunately, the Lemurians are not as bloodthirsty as the lizard-men. So perhaps there is a chance for an alliance. It is also good that someone on board Walker speaks some Latin. But let’s not venture into spoiler territory. However, every other aspect of live on a warship of those days seems right. At the last port they visited they had picked up a few nurses. And those are the only (human) women in this book—no lady captain, not even a lesbian lieutenant, we’ll leave that one for the new TV series The Last Ship. 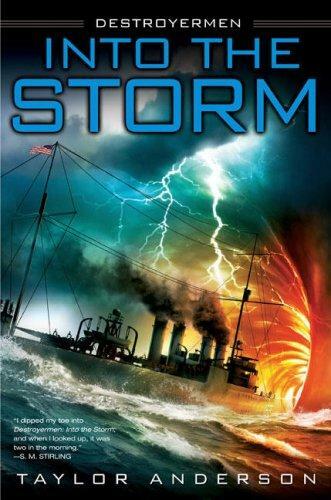 Into the Storm is just the first in the Destroyermen series, which so far consists of nine books. The ninth, Deadly Shores, was released on May 6, 2014. Reminds me of Weapons of Choice World War 2.1 by John Birmingham, which is about a multi-nation fleet getting dragged from twenty minutes in the future back to the 1940s. Unfortunately while it’s naval battles are interesting and exciting it suffers from the Pink SF problem of being too politically correct. A truly annoying amount of the book is spent on talking about how the yanks of the 1940s where a bunch of Racist, Sexist, Homophobes, and it doesn’t even seem to be willing to portray them as equals or superiors of 21st century men and women even physically or in the area of courage.